Since I’m not keen on avoiding sweets I am going to tell you my secret. Here’s my recipe for afternoon cravings and dessert desires. 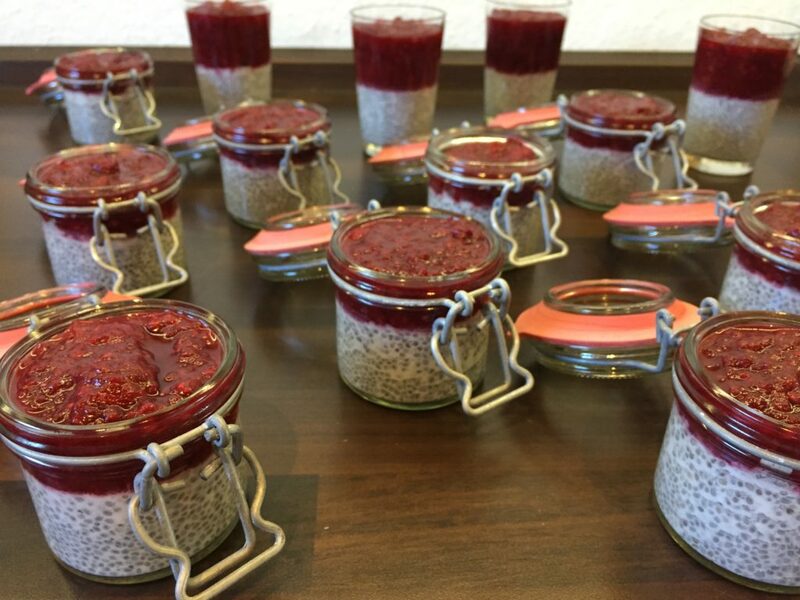 I usually make a few little glasses with chia pudding and always have them ready in my fridge. 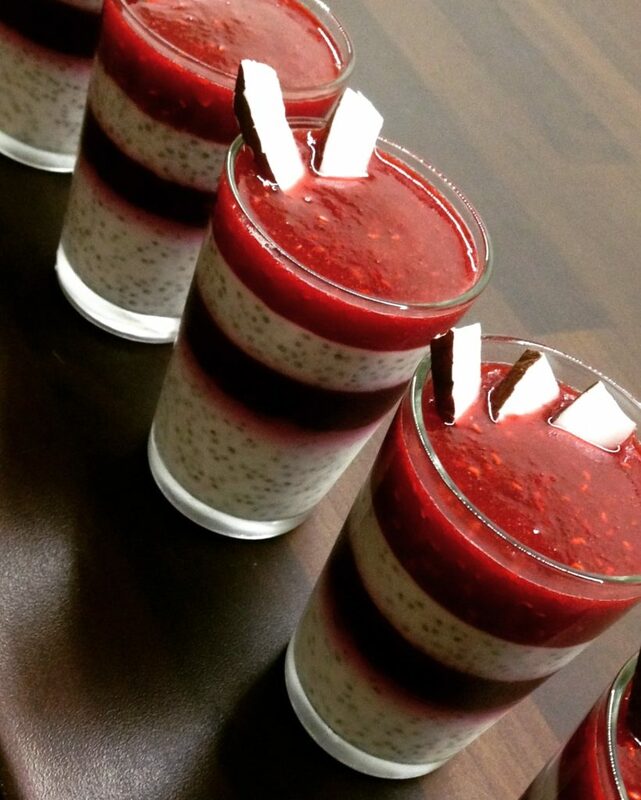 Mix curd and coconut milk in a bowl until smooth and add honey or agave syrup and chia seeds. 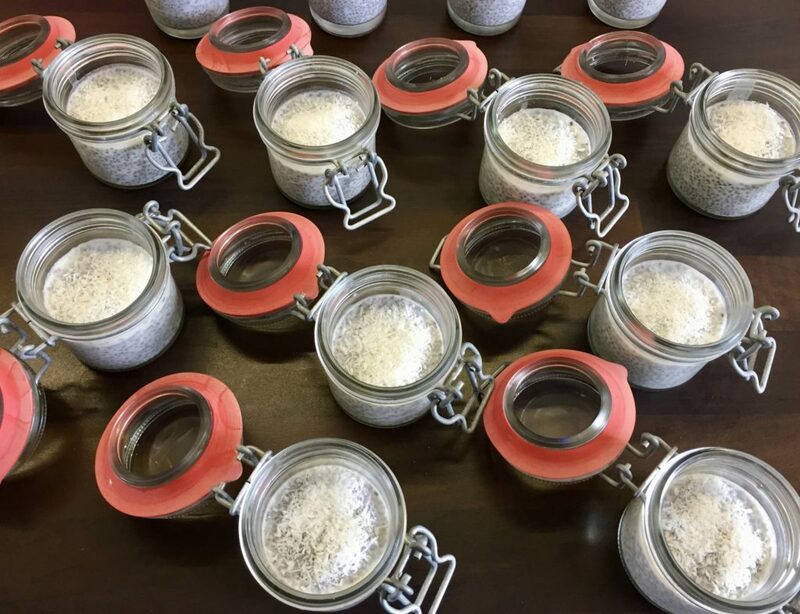 Immediately pour the mixture into the little glasses. Put the frozen raspberries in a pot and slowly let them defrost and then cook at low to medium heat. Add honey or agave syrup to taste – otherwise the sauce would be very sour. If you have raspberry vinegar at home you can add a bit, it’ll taste even better. 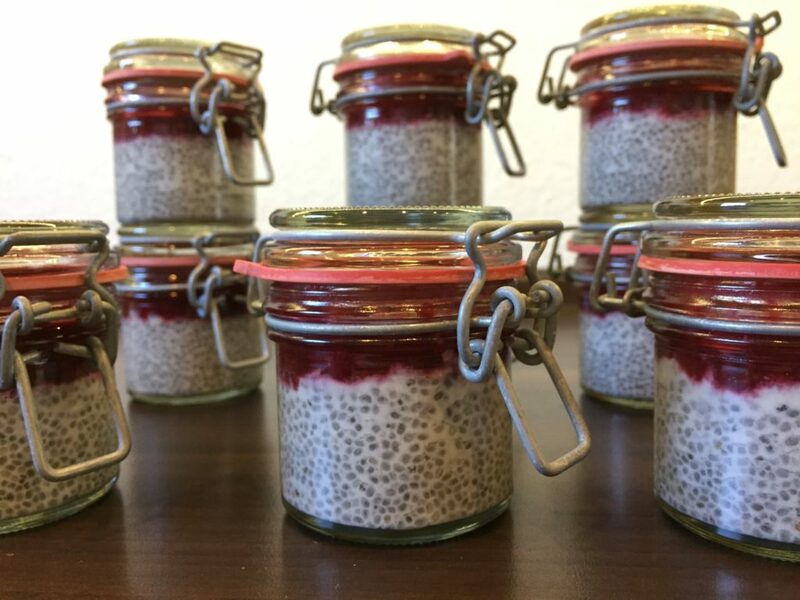 You can now either fill the sauce on top of the pudding when it became solid (after 30-60 minutes) and put in in your fridge or you can wait until you serve it and then pour the sauce on top because there’s nothing better than hot raspberries on cold chia pudding! Sometimes I don’t even make a sauce but instead sprinkle some coconut flakes on top or add a few fresh fruits from the garden. And every once in a while I make this dessert for one of our family dinners and everyone is grateful for a very light dessert after a huge and savory meal!